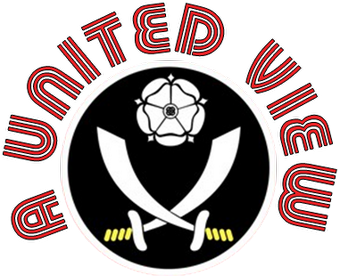 As promised here is the #onewordseason responses from Blades on twitter and Sheffield United fan site/forum www.s24su.com. Apologies for any offence caused by the language but I want to display everything suggested, there are some phrases that may need looking up on urban dictionary, some from the playground that I haven't heard in years and some that show you need to create a new word when one just wont do. Each expresses the upset and angst of an unexpected (well it was at the start of the season) relegation. A certain defender loaned from Sunderland gets a mention, as do 2 of the 3 permanent managers. A certain night at Scunthorpe that is described here is referred to. I hope that Unbouncebackabilityness is not going to be used next season. Maybe to be McCabed might become standard football parlance in time? Zemblanity...well I had to look that up. For those who can't be bothered looking - it is a word used in William Boyd's novel 'Armadillo' and is the opoosite of serendipity. Overall what sticks out is the depressing inevitability of relegation. Roll on next season. Love this! 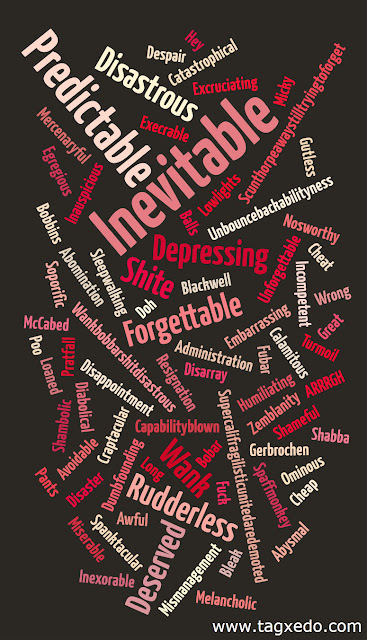 My favourite word...Capabilityblown! Sums it up lovely...here's to next season!